For those with dementia in long-term care, choices are often made for them —when they get up, what they eat, what they wear. With the Opening Minds through Art (OMA) program at Trinity Village Care Centre, Kitchener, Ont., they can again make their own choices—where they place the paint on the paper, what colours they choose and what they name their artwork. This creates autonomy and dignity through creative expression for those with dementia. The Eastern Synod created Lutheran Homes Kitchener-Waterloo which then purchased the nursing home that became Trinity Village Care Centre. 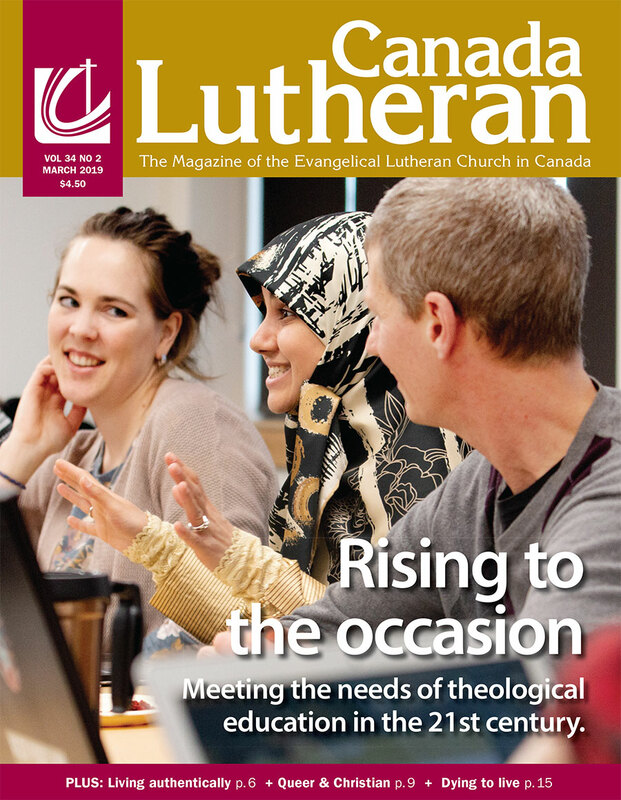 To this day the Eastern Synod Council and individual members of KW churches play an active role in its governance. The Eastern Synod has long supported Trinity Village seniors programs like OMA through the mission fund. Trinity Village began offering the OMA program in 2015. To date they have had seven semesters training approximately 65 students and 70 residents have participated. Currently the students involved come from Eastwood Collegiate and Forest Heights, Kitchener, and Père-René-de-Galinée, Cambridge, Ont. Those participating earn community service hours needed to graduate from high school. One requirement is that each student writes a letter to their artist as well as a letter to the artist’s family about their journey with the artist they were paired with in OMA.